(MENAFN Editorial) The Sharjah Chamber of Commerce and Industry (SCCI) organized a workshop entitled “Explaining the requirements of Halal certification and the Emirates Quality Mark,” as part of its efforts to promote the sustainable economic development of all business sectors, in cooperation with its strategic partners. The workshop aimed to introduce import and export laws and regulations in the UAE, as well as to review other regulations and mechanisms adopted by the Emirates Authority for Standardization and Metrology (ESMA). The workshop also aimed to explain the requirements of the UAE Regulations for Control on Halal Products, and to highlight the best practices and standards that help raise the quality of local products and enhance their competitiveness in global markets. 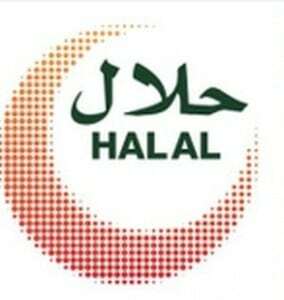 The size of the purchasing power and the huge consumption of Muslims around the world has led to a doubling of the work towards increasing interest in halal products of all categories, where total Muslim spending is expected to reach about 2.986 trillion US dollars in 2021 distributed among the following halal sectors: food, tourism, fashion, fashion, medicine and cosmetics. The workshop was held at the headquarters of the chamber on Wednesday, in the presence of Abdulaziz Mohammed Shattaf, Assistant General Manager, Services Sector, Jamal Saeed Buzangal, Director of Media Department, and Dr. Yahia Ali Yahya, Executive Director of Gulf Tech Corporation,Yasir Obaid Hashim, Head of the Investors Department at the SCCI; Victorino Abejero, Managing Director at GulfTIC Certification in the UAE, in addition to heads and representatives of a number of governmental departments that are concerned with quality control. The workshop was also attended by more than 50 guests representing a variety of the largest food, perfume and cosmetics factories operating in Sharjah. Abdulaziz Mohammed Shattaf, Assistant General Manager, Services Sector, stated that the chamber’s initiative to organize this workshop is part of its strategy to increase the exports of national products. He added that this can be achieved by enhancing the confidence in Emirati goods in local and international markets, which can be attained by the placement of the Emirati Quality Mark “Halal” on these products. He also remarked that the importance of this workshop is to familiarize investors and business owners with the UAE Regulations for Control on Halal Products, and the requirements for acquiring halal certification and the Emirates Quality Mark, in addition to explaining the positive impact of the Halal certification on the exports of Emirati products, which enhances consumer awareness of Islamic products. The workshop was presented by experts from GulfTIC Certification, which is a Certification Body accredited by the GCC Accreditation Center and Registered by the Emirates Authority for Standardization and Metrology (ESMA) and the Saudi Standards, Metrology and Quality Organization (SASO) to offer certifications of quality and metrology, including the Halal certification for food and cosmetic products and the Emirates Quality Mark.